Having spent my entire career (amazingly coming up on 20 years now) in the learning industry, I find it curious that I often cannot find time for my own learning. I always have a healthy stack of items on my nightstand that I have every intention of reading, but the stack is rarely diminished. Twitter has become my digital nightstand. Instead of weeding through articles and websites, twitter has helped me “hire” my own personal curators to show me what is new and exciting in our industry. One recommendation from one of my curators, @cammybean, was the book, Design for How People Learn, by Julie Dirksen. Now the title alone is enough to grab most professional educators, but what really got me was @cammybean saying that most of the illustrations were stick figures. I am a huge fan of stick figures in illustrating learning so I was sold. According to Julie, before you can create a good learning experience, you have to understand the gaps: knowledge, skills, motivation, environment and/or communication. I use and/or because it is likely that there are multiple gaps that must be addressed when dealing with more than one learner. How do we find gaps? We ask questions! In my experience, simple surveys or assessments can help uncover most types of gaps. For example, letting participants rate the knowledge level on the topics that are to be covered can give a lot of insight about the class make-up. And if you really want to check their knowledge, ask them questions about things they say they have medium understanding of while avoiding topics about which they say they have minimal knowledge. Think about it: Why would you ask questions when the participant has already told you they don’t know the answer? Asking participants how often they perform certain skills and how important they are can give you information about how much opportunity they will have to practice those skills back at work. It will also help you gauge how motivated they are to learn them. It’s also great to ask learners is if they know why they are attending the training. This can uncover communication gaps that could hinder their success. We all know that evaluating participants’ progress throughout the learning process is valuable, but asking questions to determine the gaps participants are bringing to learning can make or break a training experience. It’s three weeks since the Questionmark European Users Conference and I’m still following up on some of the conversations that started there. The presenters really help shape the theme of the conference: each session provides the starting point for the discussion that happens in the breaks, in the bars and on into our community spaces and discussion forums after the event. An increasing part of this conversation is something often referred to as the back-channel. For me, the back-channel is a way that participants in an event can contribute to a wider conversation around the event’s themes using their mobile devices. To help you grapple with the details of this concept, you might like to read this interesting blog post preparing participants for DevLearn 2011: “What exactly is a back-channel?” I particularly like the comment from a speaker encouraging audience members to use their mobile devices to engage. So how would you tune into the Questionmark European Users Conference back-channel? If you were using Twitter (and that is the easiest way) you would just search for all tweets that include the special hash-tag #qmcon (‘hash’ is one of the many names for the # symbol on your keyboard). Most Twitter monitoring tools make it easy to monitor your search continuously so that you can see new comments appearing in near real time. To contribute to the conversation about this event, you would simply include the term #qmcon in your tweet. Don’t be shy! Of course, when you tweet publicly it might be recorded and preserved for all time (especially if you make particularly witty and incisive contributions) but back-channel comments are short and conversational and usually ephemeral like any other comment or question you ask in a discussion session. Why not give it go? Next time you’re at a conference find out the back-channel hashtag and have a look. If you’ve got a burning comment or question you don’t need to wait until the end of the session anymore: tweet it and see what comes back. Clearly I need to humanise that slide deck a bit for next time. In my opinion, following hashtags is the way to use Twitter. And it isn’t just something people do at conferences either. Producers of live TV programmes monitor hashtags and provide feedback to the presenters in real time. You can also follow major trends and world events; try searching for something of interest and see what tags people are using to follow the conversation. Still enjoying the Halloween spirit? Just follow #pumpkin for a constant stream of pumpkin-related tweets and pictures. I don’t know about the rest of you, but Twitter and Google+ have become my main ways of keeping up with industry happenings (as well as interesting celebrities). The highlight of my week in terms of professional and personal growth is #FollowFriday. For those of you who are new to Twitter, every Friday, people list people they find interesting and think their followers should pay attention to. So, since today is Monday, consider today #FollowMonday Jim Farrell style with 10 people and companies I think are worth following. @Questionmark – Did you really think I was going to start with something different? Following Questionmark gives you blog articles, videos and case studies for people interested in assessments. @JaneBozarth – Jane is a fellow North Carolinian and the E-Learning Coordinator for the North Carolina Office of State Personal. That title is impressive but what is more impressive are her books, articles and blogging about learning and e-learning. A must follow! @ambermac – Amber Mac was one of the keynote speakers and mLearnCon 2011 and is the host of a television show in Canada on emerging technologies. Her book, Power Friending, is a must-have for people in the world of communication and social media. @Quinnovator – If you have been to an e-learning conference you know Clark Quinn. His sessions, blog articles and books on learning are always extremely thought provoking and lately seem to be focusing on mLearning. @MegSecatore – Megan Secatore is an instructional technologist I follow most closely during e-learning conferences (although since she is in Boston — my hometown — I enjoy her non-work tweets too). She is an extremely active tweeter — and she’s so good at it that I can learn all about the various conference sessions she attends by reading her tweets. She’s could outdo the play-by-play announcers at most sporting events! @WillWorkLearn – Will Thalheimer is an old friend of Questionmark (and I mean friend for a long time, and not old). I would consider Will a learning visionary. Will is not a heavy tweeter but he is worth following to see which conferences he is attending. @JohnKleeman – John is Questionmark’s founder and chairman. 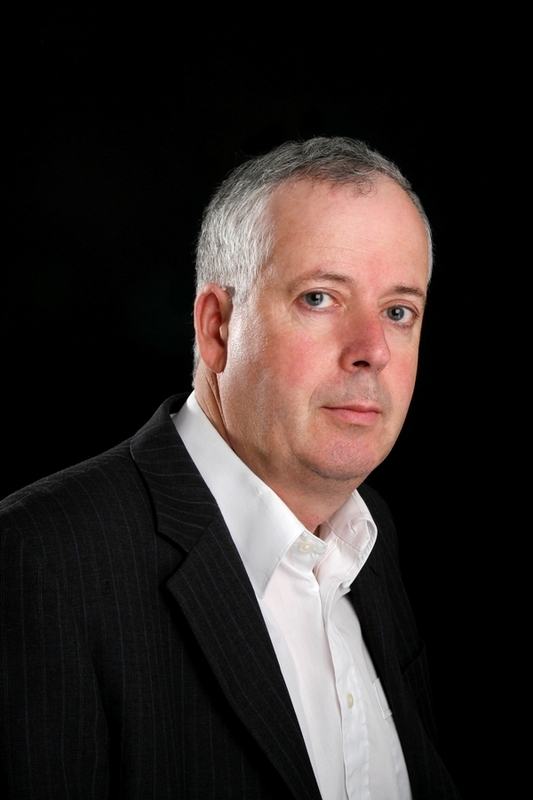 John is a very active tweeter and is currently passionate about Questionmark’s integrations with SAP and SharePoint. @eLearningGuild – Besides having the second best conferences (behind Questionmark of course), the eLearning Guild is a tremendous source of information from e-learning, assessment and learning professionals. A definite must-follow. @ASTD – Like eLearning Guild, the national and local ASTD chapters are a great way to learn about conferences and find interesting people to follow. @marciamarcia – Marcia Conner was one of the first people I followed on Twitter. She has a great book titled The New Social Learning that I have read two times now. She is a speaker at many learning conferences and is someone to definitely check out. 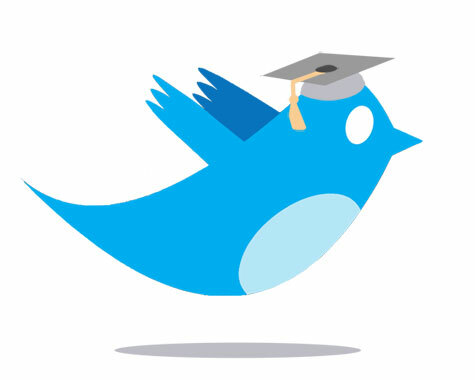 I find Twitter a great way to learn every day and stay up to date with e-assessment and learning technology. With Twitter, I can see a summary of important information others think it worth me knowing. If you’ve not tried Twitter and would like to get started, go to www.twitter.com and sign up. Choose a short, memorable user name, set up your profile and choose some people to follow. You can then view their tweets in a browser or – more useful for many – on your mobile phone or iPad. And if you want to contribute, it’s easy to post your own tweets back. Twitter has a “Follow Friday” tradition of recommending who to follow at the end of a week. Here are a few of the people I personally follow and suggest many of you might find interesting … I’’ll mention more in a future post! Charles Jennings used to be head of learning at Reuters and is now a freelance learning specialist. He’s one of the people who’ve popularized the 70+20+10 model for informal learning. David Walker is Senior Learning Technologist at the University of Dundee, he’s also on the board of the E-Assessment Association and tweets on e-assessment. Example tweet : Interesting article in this weeks @timeshighered about online exams and allowing students access to Internet/search tools. Worth a read. Michael Feldstein is the author of a longstanding educational technology blog and is a knowledgeable commentator on the academic market and their LMSs. The Questionmark marketing team said I’d better put this one here :). No, seriously if you follow @questionmark on Twitter, you’ll get to hear of all our announcements and blog articles and can follow up on those you’re interested. Prashanth Padmanabhan is a product manager at SAP. He’s great at finding new ideas in business, software design and talent management and condensing them into a stream of tweets. Will Thalheimer is one of the gurus of learning research, he reviews research from academics and applies them in a practical context. If you want to follow me on Twitter, you can find me as @johnkleeman. Check the tab at the left for Twitter addresses for several Questionmark colleagues – including our CEO @ericshepherd. I hope you find Twitter as useful as I do to learn every day. Questionmark’s European user conference starts this Sunday in Amsterdam. I’m really looking forward to the event and wanted to share my enthusiasm with you. Questionmark users are usually passionate about assessment and are often the visionaries and leaders of assessment within their organization. Questionmark staff are also passionate about assessment and work from many different places. So our conferences – European and American – are a special opportunity for us all to get together in person, meet old friends, make new ones, and speak about assessment : how we can do it effectively on computers (and now mobile devices), and how to use and improve Questionmark software. I hope to attend most of these sessions. And I’m looking forward greatly to seeing Questionmark colleagues, Questionmark partners and Questionmark customers, where for a few days we’ll exchange information, ideas and return to work re-charged to continue improving the world of assessment. For those of our customers who are not coming, you can follow us on twitter (#qm10) and live blogging. We’ll also post handouts after the event. I hope you will join us in 2011 in Los Angeles or Europe.